Alex Lightfoot and Tom Kelley are supporting the cause! 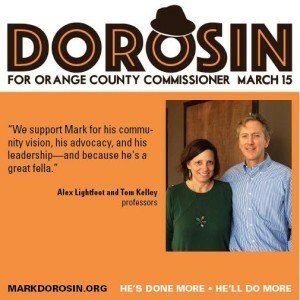 Filed under News |	Comments Off on Alex Lightfoot and Tom Kelley are supporting the cause! Minister Robert Campbell, tireless fighter for environmental justice, lends his support! Filed under News |	Comments Off on Minister Robert Campbell, tireless fighter for environmental justice, lends his support! Another powerful endorsement for my Re-Election! 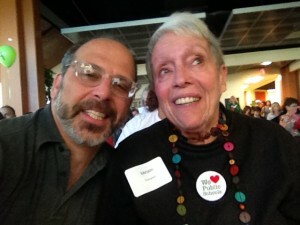 Filed under News |	Comments Off on Another powerful endorsement for my Re-Election! 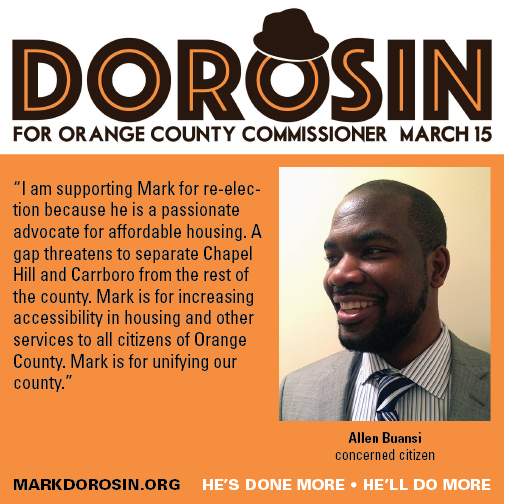 Civil rights advocate Allen Buansi endorses the re-election! Filed under News |	Comments Off on Civil rights advocate Allen Buansi endorses the re-election! 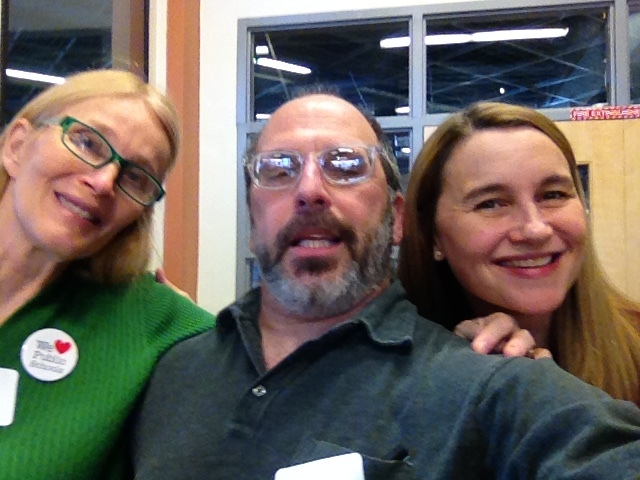 Great day at the NC Public Education Advocacy Training! Over 200 dedicated public education activists, parents, teachers, and elected officials gathered today to strategize over how to effectively engage legislators, county commissioners and school boards on critical education issues in the coming year. 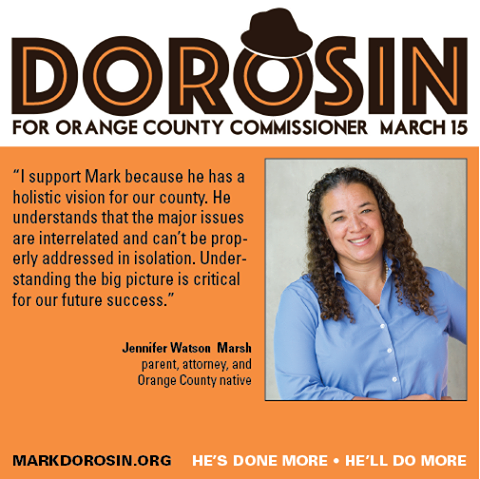 Among the most critical include: increasing per pupil funding provided by the state, greater educational and financial accountability for charter schools, and opposition to the so-called “achievement School District” and further privatization of public education. Advocates also insisted that racial and socio-economic diversity be prioritized, as well as an end to disparities in discipline, access to resources, the targeting of low-wealth or underperforming schools, and the privatization and marketization of public education. These are our children, not our customers. 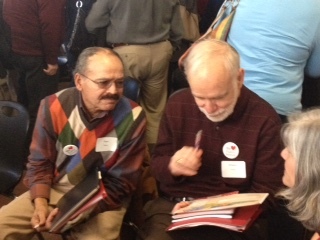 Filed under News |	Comments Off on Great day at the NC Public Education Advocacy Training! Here’s the News & Observer op-ed by my colleague Elizabeth Haddix and me on charter schools, their lack of racial and economic diversity, and how the state could begin to address this issue. Operation Commish 2: The Recommissioning! Charles Hamilton Houston, the great civil rights lawyer and professor, told his students that lawyers had to be social engineers, or else they were parasites. The same can be said of politicians. 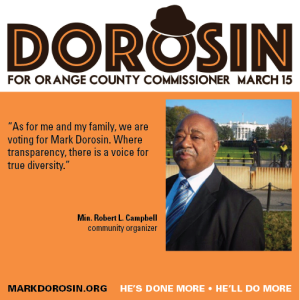 I have long been committed to bringing meaningful change to our community, and I hope you will allow me continue to do so. I’ve done more, I’ll do more. Filed under News |	Comments Off on Operation Commish 2: The Recommissioning! The official swearing in–December 3rd! Come out and celebrate our collaborative victory! Amigos: come out on December 3rd and celebrate the formal Commishinization! My dear friend & civil rights champion Rep. Angela Bryant will administer the oath! 103 Meadowlands Drive (Adjacent to the Triangle Sportsplex), in Hillsborough, N.C. Filed under News |	Comments Off on The official swearing in–December 3rd! Come out and celebrate our collaborative victory! In 120 hours, we will know whether I’ll will be joining the Board of Orange County Commissioners. There is still time to vote early tomorrow and Saturday morning, and of course election day on Tuesday. 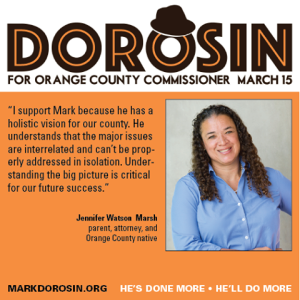 Please join us to celebrate the results on Tuesday night at the Orange County Social Club, as soon as the polls close at 7:30pm. Thank you for all the support and good wishes over the past few months! Filed under Blog |	Comments Off on 120 hours to go! Thanks to Minister of Motion Picture Science Jesse Paddock for putting this together, and to Jennifer Marsh, Cameron Ellis, Jeremy Collins, Jonathan Weiler and of course, Minister of Art Ron Liberti for all their hard work and support.